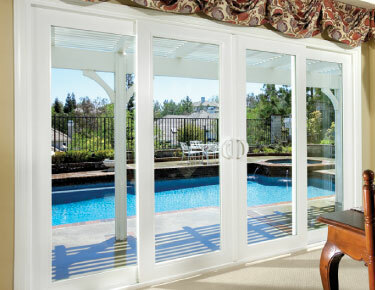 Sliding French Doors give the appearance of swing french doors but instead of swinging open they slide open left or right depending on your preference. 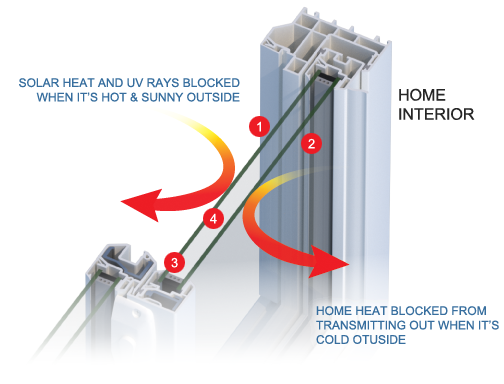 Keeps the sun's heat from transmitting through the window into your home on hot, sunny days blocking 95% of harmful UV rays. Keeps your home's interior heat from transmitting through the window out of your home when it's cold outside. Multi-chambered structural silicone foam spacer is a powerful insulator – the most advanced and efficient spacer on the market. Choose a color that makes your house look realy really cool. We would love the opportunity to earn your business! 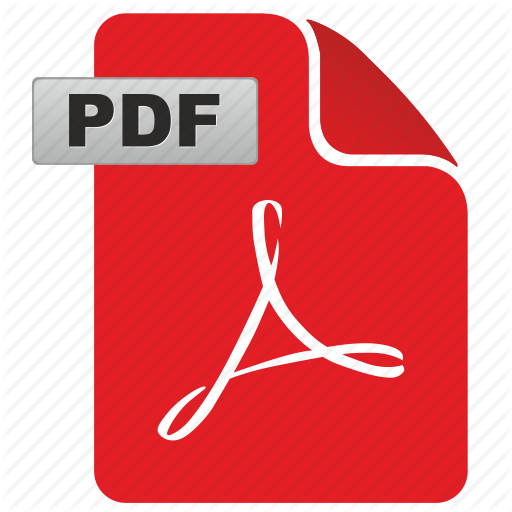 Contact us today to set up your free in-home estimate or 30 point energy evaluation!